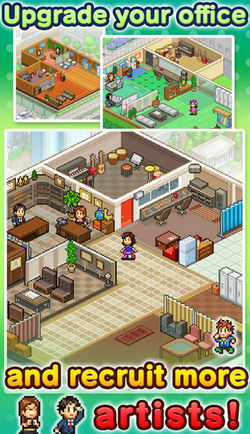 Another one of Kairosoft's hit simulations just landed on the Play Store and this time is about making superstars. March to a Million (hack included) is an artist-management sim where you get to head your own talent agency, discover the next super star, make unlimited money and be your own boss. You start by scouting for uniquely talented people and nurturing them to fame and riches. You need to advertise your services, choose a record company, and then the world is yours. Train your artists so they can sing professionally, after they win all auditions first of course. Make them famous, get the Million Award and earn some cash! 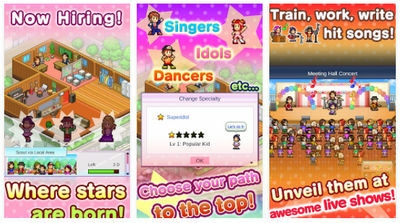 You can free download March to a Million APK on our site from links below. But we encourage you to buy the game from the official Google Play page and support the devs who made it. A Mod with infinite coins is also included so you can enjoy this simulation even further with infinite cash. updated mod, check it out! as to the other games, i hope i get the time to post them! the oldest mods seem to be still working if you want them! Hello thanks for answer the only mod that I want is magazine mogul is the only thing that I don't have with unlimited money and book unlimited. do you have only concept point mod? it keeps telling me that there is a code error. i really want it.